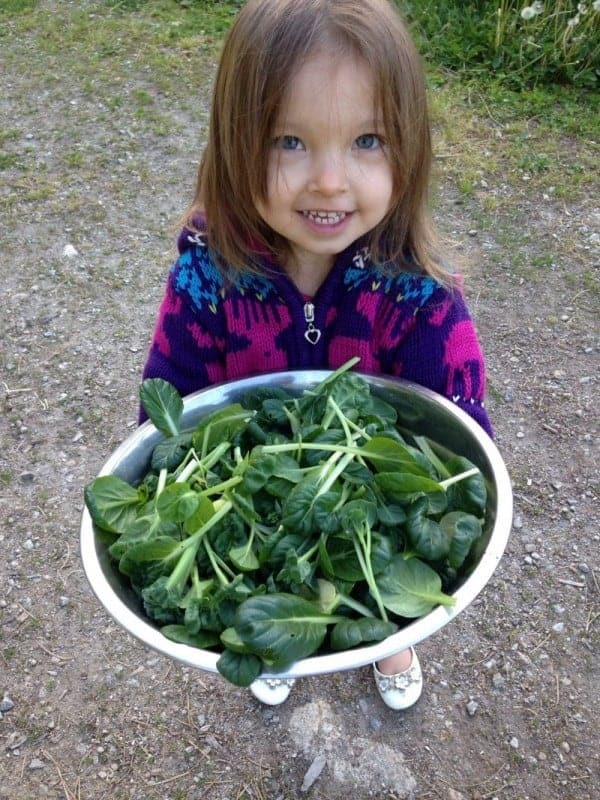 What if I told you that your kids could learn to absolutely love fresh veggies? They just don’t know it yet because they’ve never seen where they came from. Our kids refused to eat lots of vegetables on so many occasions before we grew them ourselves. It wasn’t for a lack of trying, but for whatever reason anything that we made from store bought produce they’d barely eat. That all changed after they witnessed where their vegetables came from. It was like the mystery of confusion was solved. 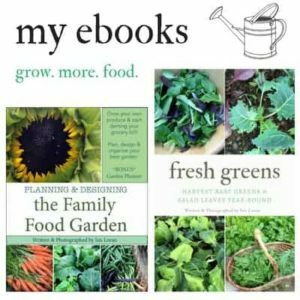 They became so enticed by these beautiful fruits and veggies growing in the garden that they only wanted to eat them raw in the garden. 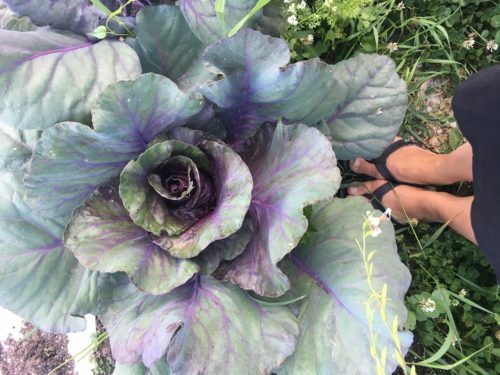 In fact, that became their favorite place to snack on fresh food: outside where they were grown. And the crazy thing was? I didn’t grow enough for them! I grew some peas, but not enough for how often our girls wanted to eat them fresh from the pod. 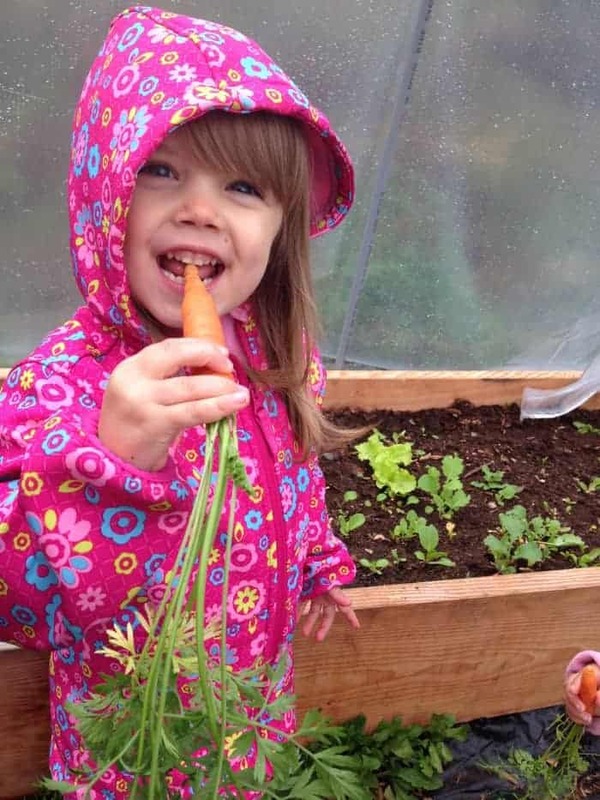 I grew rainbow carrots for fun & they loved them. But I didn’t grow enough. 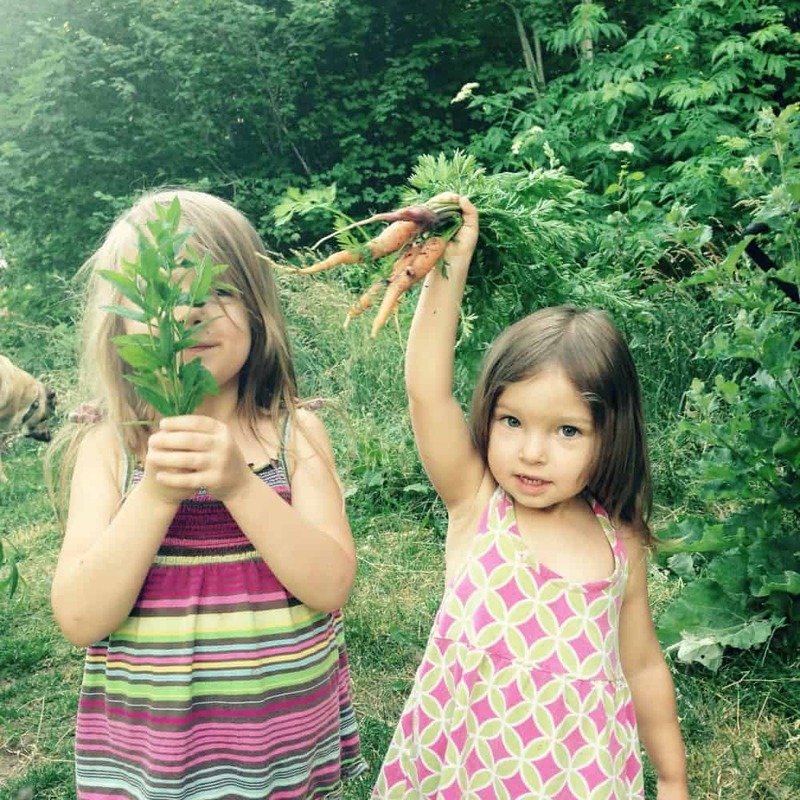 They enjoyed harvesting the colourful easter egg radishes and ate them even if they were a little spicy. 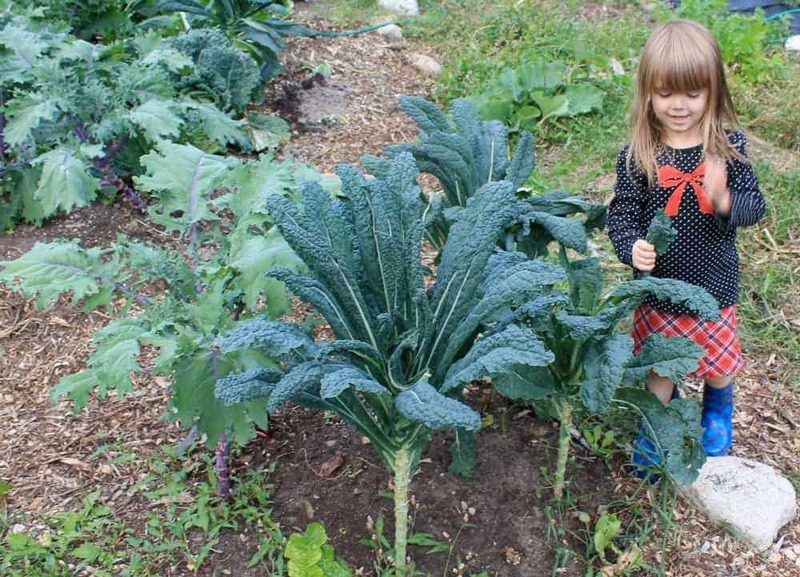 So this year while I’m doing my garden planning, I’m definitely making sure I grow lots of fresh organic veggies for our kids to eat raw. Fresh veggies are perfect for healthy snacking and fantastic for their well-being too. A quick rinse or wipe and they can eat them straight away. Outside. In fresh air. & Bonus! Happy little helping hands. 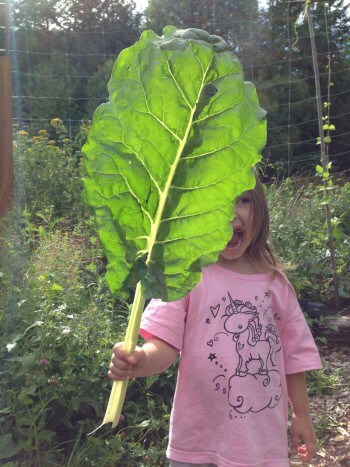 What’s amazing is that kids get to use their hands-on ‘foraging’ skills before eating. 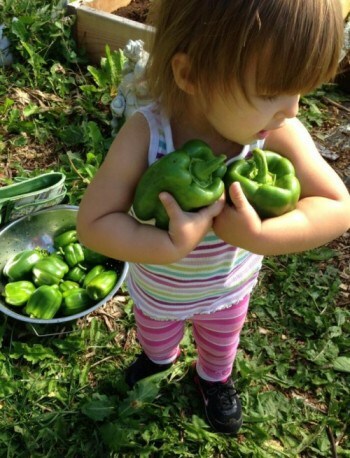 Even though the veggies are grown in the garden, kids have to search and seek out their food before eating it. It makes finding the veggies the ‘reward’ that they get to enjoy. 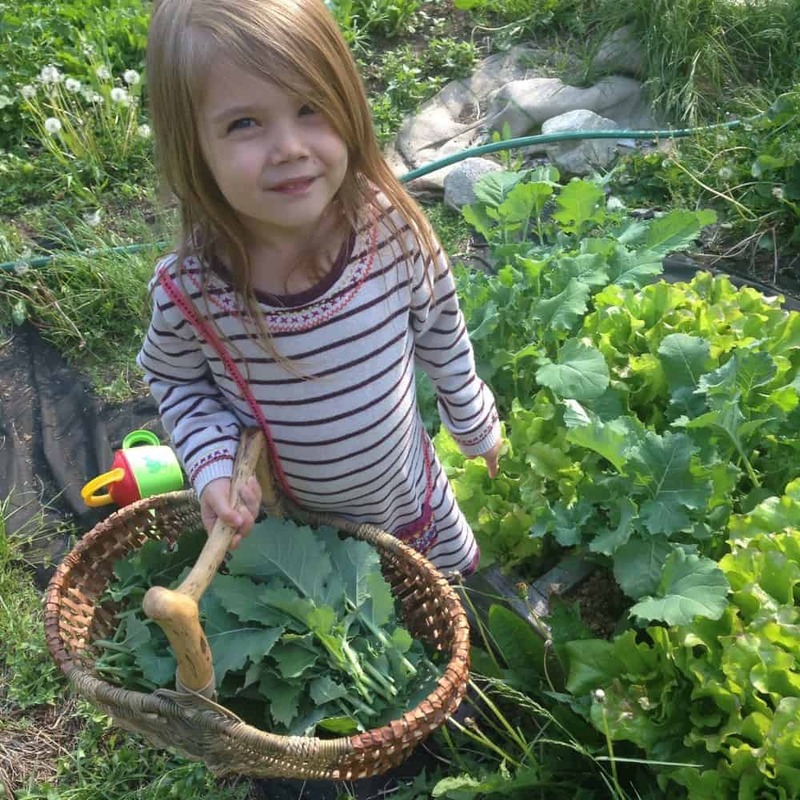 In addition they get to keep busy with hands, learn to be gentle when harvesting and are connected with their food in fresh air and dirt. It’s a healthy kid win-win. 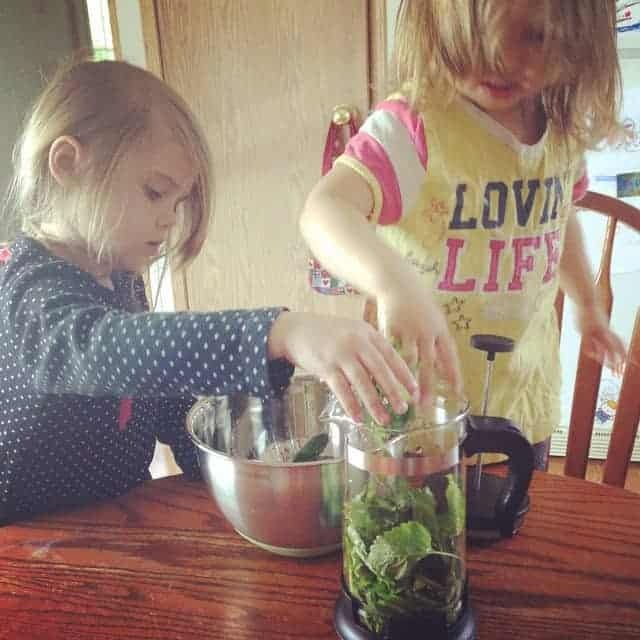 Why do kids love fresh food? 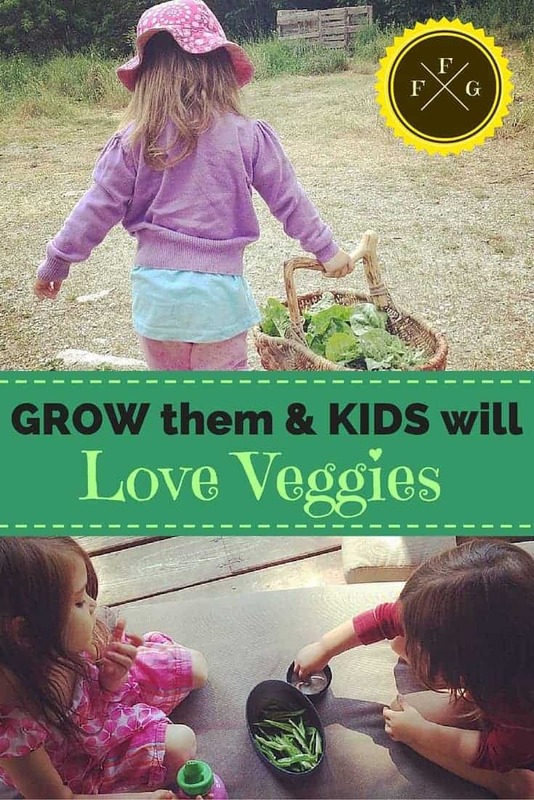 Growing your own veggies really helps kids eat them because they’ve seen where they came from. The veggies are also harvested at peak flavour and nutrition whereas store bought ones tend to be harvested days or weeks before maturity because of shelf life. Kids end up liking the taste better thus want to eat more of them. And lastly it’s also the experience they get to have. 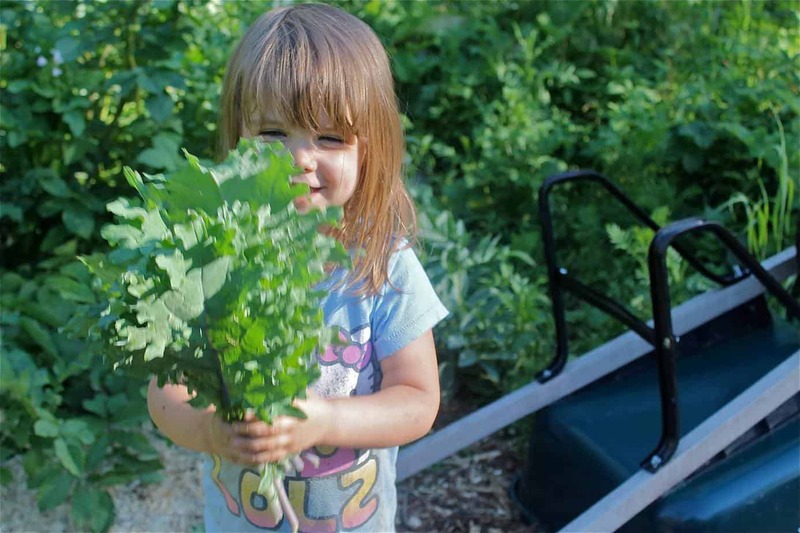 Children love to do things with you, and growing food together is a perfect way to connect with each enjoy and eat fresh healthy food. 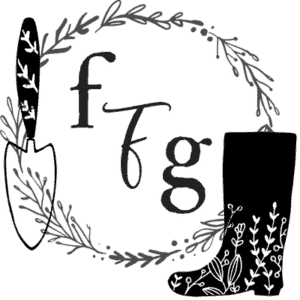 So if you can this year, grow a little food garden for your children! Even if it’s one pot of soil on your balcony or some indoor sprouts. 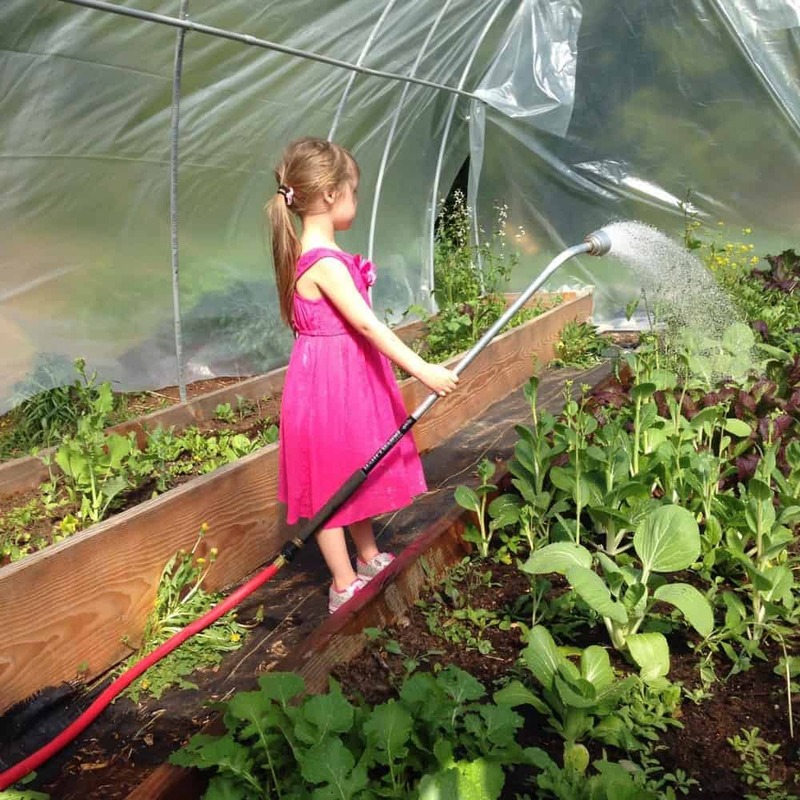 Kids really do love seeing things grow. It even makes them want to try it! This is so true! 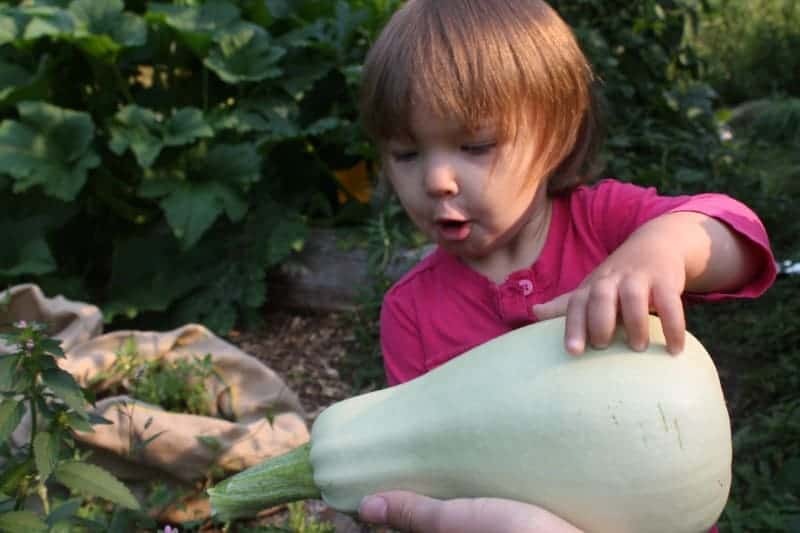 Even if they don’t like the vegetable, if they grew it themselves they would try it. MORE THAN ONCE. Even if the first try wasn’t great. Some of my most valuable harvests have been the memories I have picked while growing food with my littles. Brilliant. My son was a picky eater with a limited repertoire of things he liked. For some time all he wanted was oatmeal in the morning, peanut butter sandwich with a glass of milk and either carrot sticks or apple slices for lunch, brown rice with soy sauce for dinner. Yet in early spring he would go out and eat wild sorrel, sour as it is, and of course once the garden was happening he was all over it. Indeed, RAW!